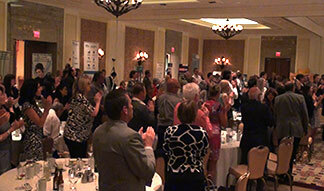 Aaron Paterson and former member of parliament John Nunziata headline the recent OACC conference and Aaron receives a standing ovation for his performance. 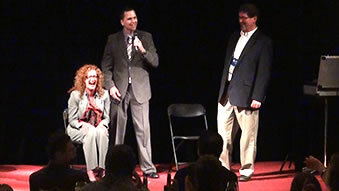 Toronto corporate event entertainer, Aaron Paterson created quite a buzz at the 39th annual OACC conference with a customized performance that had the 200 plus audience showing their appreciation with a standing ovation. Aaron had the group laughing so hard at times that he had to pause before continuing. Aaron was happy to join the group in their hospitality suite following his performance and further entertained with some incredible, impromptu close-up magic. Delegates attended the three day conference from all over Ontario and were also treated to former member of parliament and guest speaker for the evening John Nunziata. Five star resort, Red Leaves did a fantastic job of hosting the conference, ensuring that all attendees were well taken care of. Toronto Corporate Event Entertainer, Aaron Paterson and two-time Juno award winner, Maestro Fresh-Wes headline the recent two-day, TDSB conference in Toronto. For the second consecutive year Aaron Paterson was hired to headline the two-day, TDSB conference in Toronto. 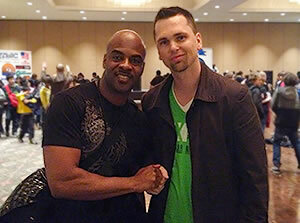 Aaron appeared along with Author Eric Walters and two-time Juno award winner Maestro Fresh-Wes. Having grown up listening to, and deriving inspiration from, the Canadian music legend's music, this toronto corporate event entertainer was thrilled to be featured on the same bill with him. 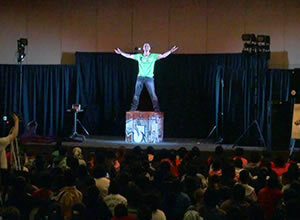 Aaron kicked off the conference each day with an elaborate illusion show and had the thousands of conference goers thoroughly captivated with his visually dynamic illusions and comedy. Maestro Fresh-Wes closed the conference each day with an uplifting performance which had the audience on their feet singing along and dancing to the music. Aaron was happy to stick around after his performance to answer questions and sign autographs for the young attendees. 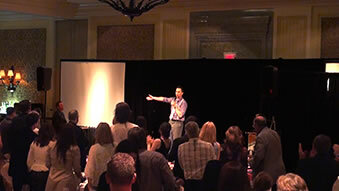 A motivational couple of days was had by all and conference organizers were extremely pleased. Aaron was happy to return to the conference and looks forward to working with organizers in the future. Paladin Labs brings Aaron Paterson back to enthrall doctors, create product awareness and generate leads at the recent Primary Care Today Conference. After being invited, but having to miss the Primary Care Today Conference in 2011 due to prior obligations, Aaron Paterson was brought back (Aaron previously performed for the conference in 2010 to tremendous success, click here for details) by Paladin Labs for the 2012 conference to create product awareness and generate buzz on the Trade Show floor around Paladin Labs booth. 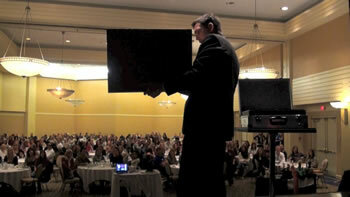 Conference attendees were treated to Paterson's world class, sleight-of-hand magic with a message. 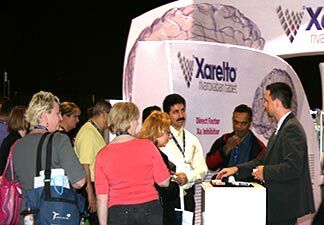 While creating product awareness, Aaron was able to inform doctors as to the benefits of providing their patients with Paladin's life changing pharmaceuticals. Aaron was happy to be able to assist drug representatives from Paladin in accomplishing their goals for the conference and looks forward to working with Paladin on future events. One of Aaron Paterson's signature illusionary creations appears on American news station CNN's, The Next List with Doctor Sanjay Gupta. Corporate Entertainer, Aaron Paterson was honored to have one of his signature effects appear on the first episode of CNN's, The Next List with Doctor Sanjay Gupta. The Next List is a new series that profiles innovators from all walks of life and all fields of endeavor. Aaron's creation, Icarus Effect, an effect for creating the illusion of self-levitation, was featured in the episode being performed by Cyber Illusionist, Marco Tempest. 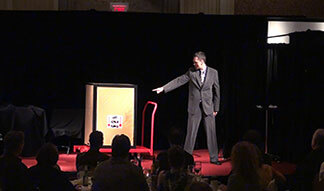 Marco purchased the illusion from Aaron and has since performed it on television all over the world. Icarus Effect is now being featured in over 25 countries around the world and has proven to be the effect of choice for many of the top pros in the business when it comes to publicity tools. Canada's leader in the indoor tanning industry, Uvalux, retains toronto corporate event entertainer Aaron Paterson to kick off their recent conference. When Canada's leader in the indoor tanning industry, Uvalux, was looking to kick off their conference with something different and unique, they contacted Aaron Paterson. Aaron entertained there audience of 300 plus client's with his brand of custom, corporate entertainment before business got underway. He was able to successfully weave Uvalux into his performance making the presentation more relevant to the group. The Toronto corporate event entertainer would like to extend his thanks to the Uvalux team as well as the Don Valley Hotel, both of whom were very accomodating to work with. One of Toronto's top corporate event entertainers, Aaron Paterson recently made an appearance on City Tv's Breakfast Television with Jennifer Valentyne to promote his eleven week run at a top Northern Ontario Resort. Toronto corporate entertainer, Aaron Paterson recently appeared live on City Tv's Breakfast Television with Jennifer Valentyne to promote his eleven week run at Fern Resort in Orillia. Aaron made some incredible magic take place in host Jennifer's hand and was happy to have been a part of promoting the resort on National Television. Aaron's evening performances are taking place in the beautiful Bergwins Theatre for the exclusive enjoyment of resort guests until the end of August 2011. Aaron enjoyed working with the Breakfast Television crew and looks forward to returning to Breakfast Television to promote some exciting upcoming performances.